I am simply amazed at how small the world has become. When I was young and you were interested in the Martial Sciences you pretty much were relegated to whomever was teaching in your direct area. Say around 10 to 20 miles tops. (to an extent you still are of course) There was also no video online on the internet because well there was no internet. There was no mma on tv or really anyway to compare other than to look at the schools/instructors in your immediate area. When the VHS VCR became popular and was in most homes you started to see some video tapes put out by martial practitioners. Then more, more and more. Then the DVD player plus online video sharing, etc. and walla anything you want to see, you can. Just to give you an idea on how small the world is just yesterday I was contacted by someone in the Netherlands who is interested in IRT as well as a person from Indonesia. All in one day and this happens a couple of times a week. With the explosion of Facebook you just cannot believe how many people you can come in touch with from anywhere in the world. I remember traveling a couple of hundred miles to go to a Remy Presas, Dan Inosanto, Pak Herman Suwanda seminar. Now, the same technical information I can see online or on a DVD without even leaving my living room. Now, you cannot learn well from a video or DVD but it can be great reference material for information you have already learned in person. 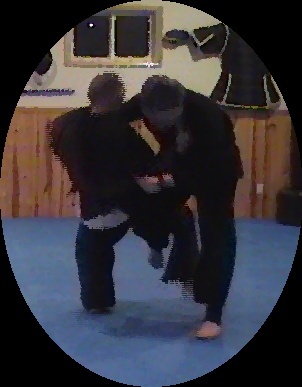 It also is a great way for someone to see what they might like in the Martial Sciences. Simply amazing how far we have come technological wise and I personally am excited to see how far it can go in my lifetime! I’m using this approach (DVD) evaluate a teacher that is 150 miles from me because he has a high level student near me that I was thinking about training with. That is cool Tim. Good way to get that initial observation in. It just amazes me how easy it is to communicate with people from anywhere or everywhere. Information is at our fingertips. Just take today for example in that you and I two long time martial practitioner’s are communicating via this online medium. One of my former training partners from way back contacted me via facebook and the information is flowing as I was partaking in watching a video of an instructor in Russia while talking to him on facebook. Very cool!